Whatever else you can say about Iceland, there is this: they are brilliant marketers. Slogans such as “the land of fire and ice” and “Icelandic Lamb: Roaming Free Since 874” do a great job of stimulating demand. 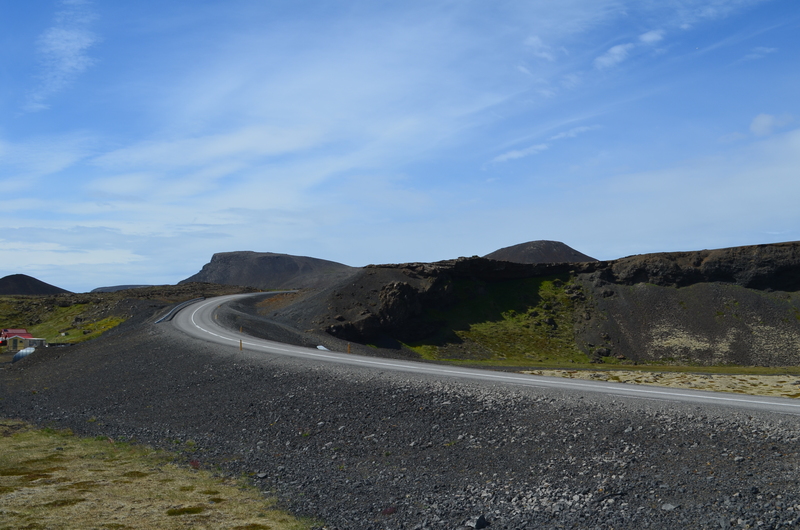 So it is with “The Golden Circle,” a tourist route that encompasses three major attractions north of Reykjavik. I drove it. Here’s my report… but first, a digression. Because I was in Iceland for such a short time, I had to be very picky about what to do. There are zillions of guided tours to various attractions, but all of them have high latency: you have to wait, board a bus, wait some more, and generally spend a lot of time buffering instead of doing stuff. Even though I would have loved to see a glacier, or visit a lava cave, etc etc, I had to find something to do that I could shoehorn in between about 7am and 33opm or so– at that time, I’d need to be at KEF getting ready for my return flight. I also wanted to find something affordable. Some attractions, such as Inside the Volcano, can be $400 or more, and I didn’t want to pay that much if I could help it. 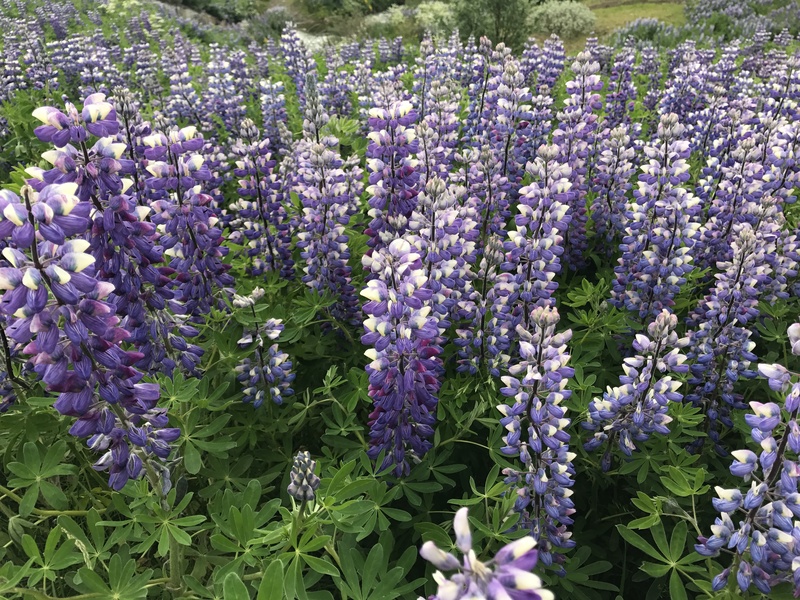 My original plan was to rent a small plane at the Reykjavik airport (which was right near my Airbnb), fly up to Akureyri, and see the sights up north. Unfortunately, this plan had two major problems. First was the weather. The bigger one was cost: the airplane was $275/hour, plus I’d need at least one hour with an instructor (another $75), so it would have been $350 or more just to get checked out– then another 4 hours or so of flight time to get to/from Akureyri. Hard pass on that one. Plan B was to do a bus tour of some kind, but there were none that would fit into the time I had available. That’s when I decided (as mentioned in day 1’s writeup) to rent a car instead. I figured that would give me maximum flexibility and make it easy to ensure that I was at the airport on time. Saturday morning, I got up about 7am, took a quick shower, and finished the last little bit of packing– I had packed about 90% of my stuff Friday before leaving for the race. With the bags in my car, I stopped at the corner bakery and had what was labeled as a cheese pastry. Imagine a pastry filled with scrambled egg and bacon bits, with some cheese.. but served at room temperature. Didn’t expect that. It was still pretty decent. So, back to the Golden Circle. 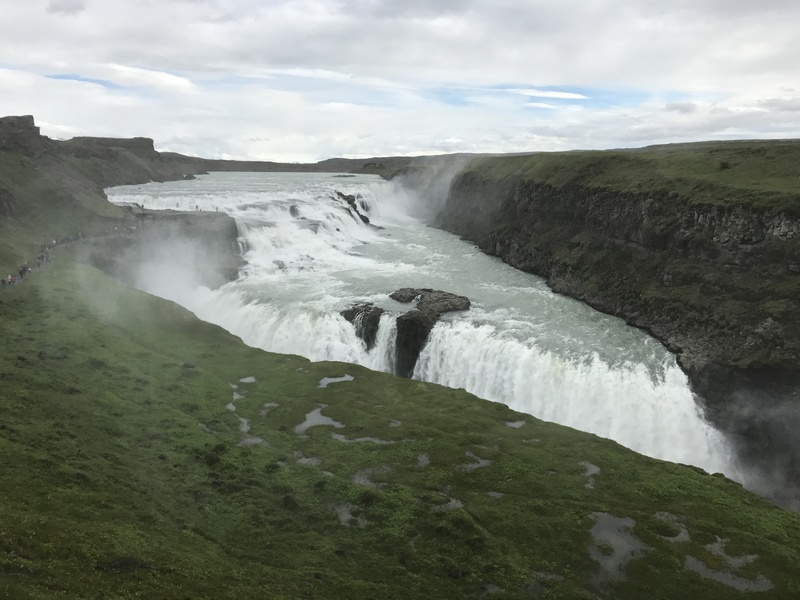 The three attractions on the circle are Thingvelli( (site of the first-ever democratic parliament), Geysir (from which we get the English word “geyser”), and Gullfoss, a giant waterfall. (Check the links if you want to learn waaaaay more about any of them.) I didn’t want to take the time to tour Thingvellir and see all the historical stuff there, so I modified my route slightly. Here’s more or less what I ended up with. 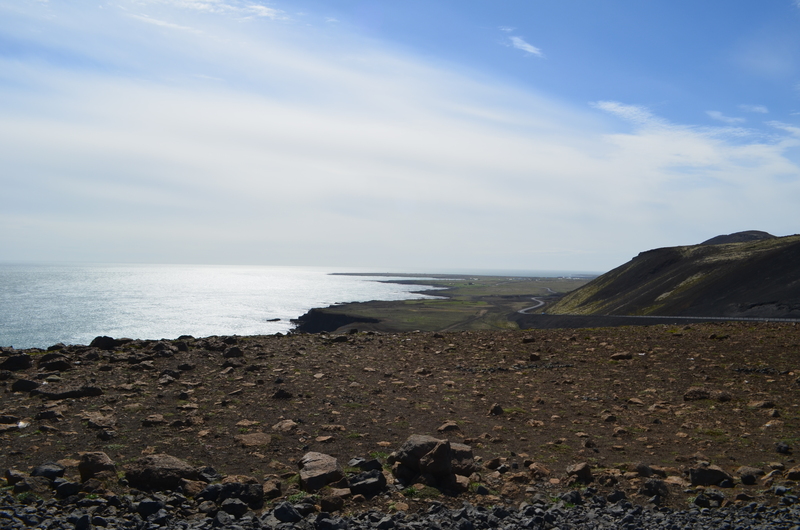 Because I had to go back to Keflavik, I decided to take the longer southern route, along the coast, instead of heading back to Reykjavik directly. 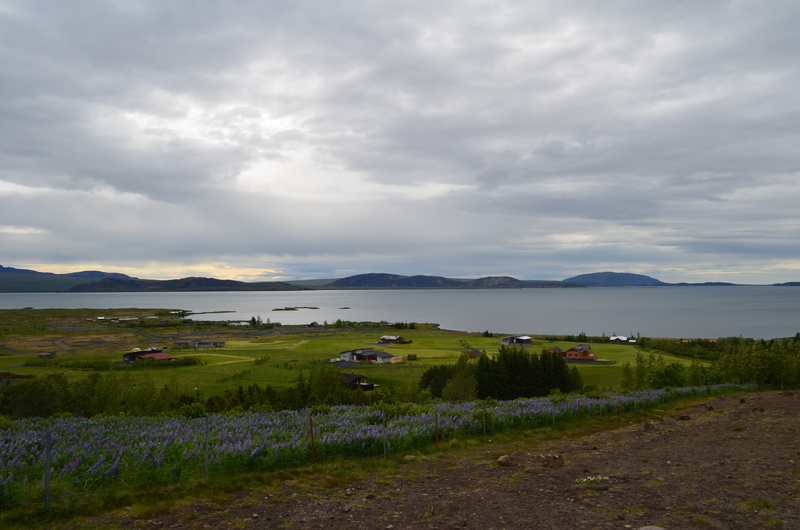 This meant I didn’t have time to go to Hafnarfjörður, where I’d hoped to hike Helgafell, but I decided the tradeoff was worth it. After breakfast, I cracked open my diet Coke, put the new 311 album on repeat, and set out on the route using the free Maps.me app. It is a battery hog, and it has an annoying bug where it permanently lowers your audio volume when it gives directions, but it allows you to download maps and keep them locally cached so you get navigation even when there’s no cell service. Heading north, the first thing I noticed is the mountains to the west. The second thing I noticed was that the road is a very narrow ribbon of asphalt, with no shoulders or guardrails and a fairly steady flow of traffic. Every so often, there would be a spot to pull over for photos, which is fortunate, because you absolutely can’t pull over to the side of the road. The route is surprisingly green, green enough to support grazing animals. 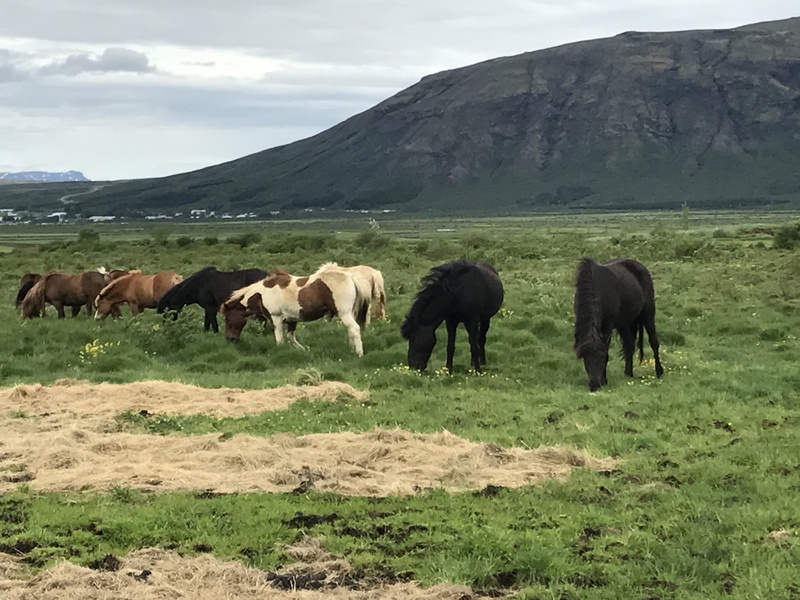 Along the route, the horses I saw were all fenced in– horse farms in Iceland look quite a bit different from their Kentucky counterparts though. These ponies were just chilling by the side of the road. 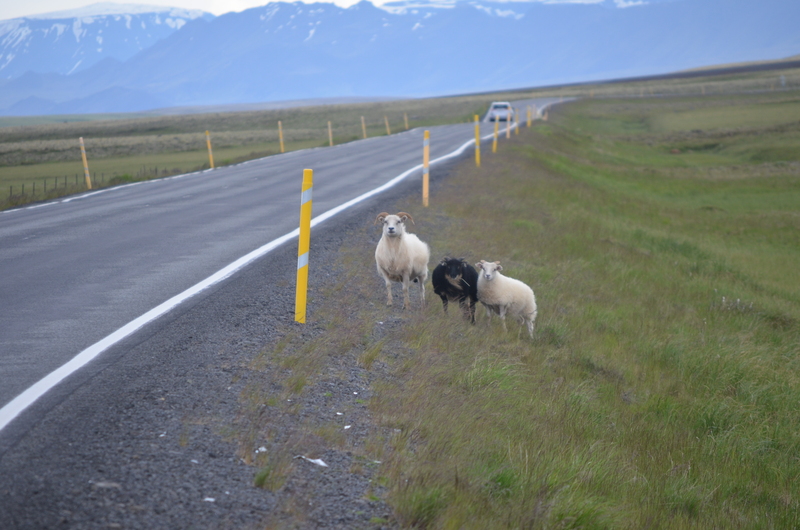 Sheep are essentially free-range animals here, and they will get quite close to the road in some cases. Interestingly, many sheep have a brand spray-painted on their wool in fluorescent paint! I imagine there must be some way for Snorri to tell Bjorn that some of his sheep have wandered next door. 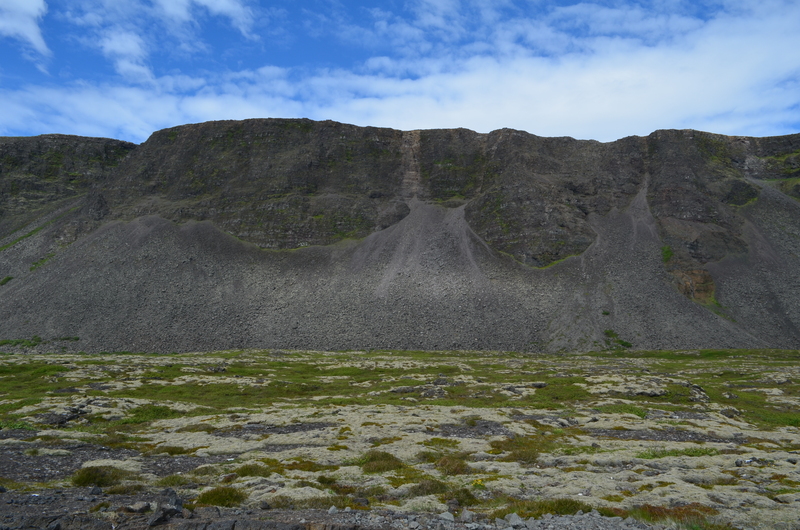 There’s an amazing variety of landscape to see along this part of the route; the road gradually climbs as you head north, then once you’re south of Thingvellir it descends. The narrow road has no shoulders. Notice the low mist off to the west. This one is worth clicking to see it at full size. I loved the colors on this hill. Not shown are all the other vehicles on road– everything from small cars (probably rented, as mine was) to 4x4s to large passenger vans to tour buses. I would imagine that almost all of the traffic was composed of tourists. There wasn’t a lot of traffic by US standards, but there was a fairly steady volume. 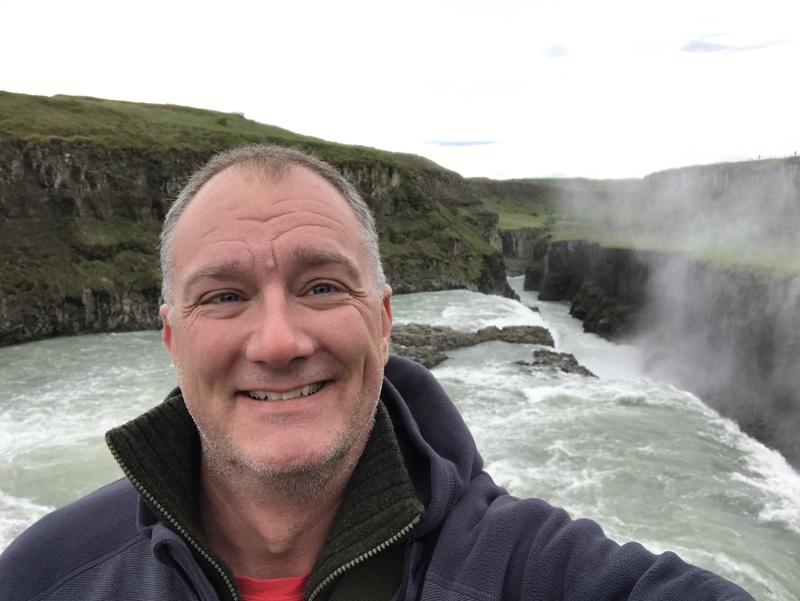 You can’t see it from this picture, but behind me is a rocky trail that leads up to a plateau that’s roughly level with the big part of the falls. The falls themselves are wild and noisy. 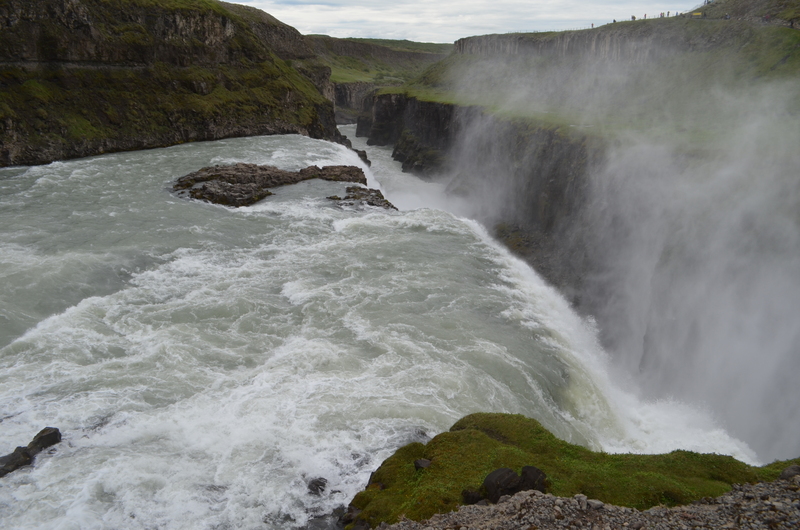 There’s a large spray curtain whipped off the edge of the falls, so between the noise, the wind, and the spray, you get the full Gullfoss experience. I loved it; it reminded me of visiting Snoqualmie Falls with Julie and Tim on a windy day a few years ago. Love the spray curtain rising from the falls! Now. Let me say without reservation that this was the best soup I ever tasted. Flavorful and rich, with plenty of vegetables; hot but not enough to burn, and very filling. I ate two bowls and several rolls and then made myself push away from the table… that’s how good it was. 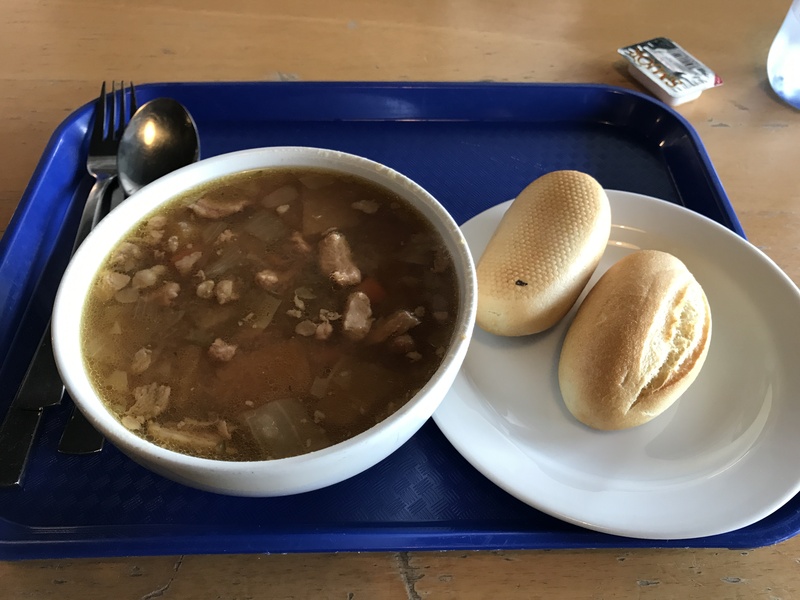 Best meal I had in Iceland. Suitably refueled, I headed back towards the parking lot. On my way I discovered that there are free bathrooms inside the restaurant. Well played, gift shop folks; you got my ISK 200. Oh, why not. One more. 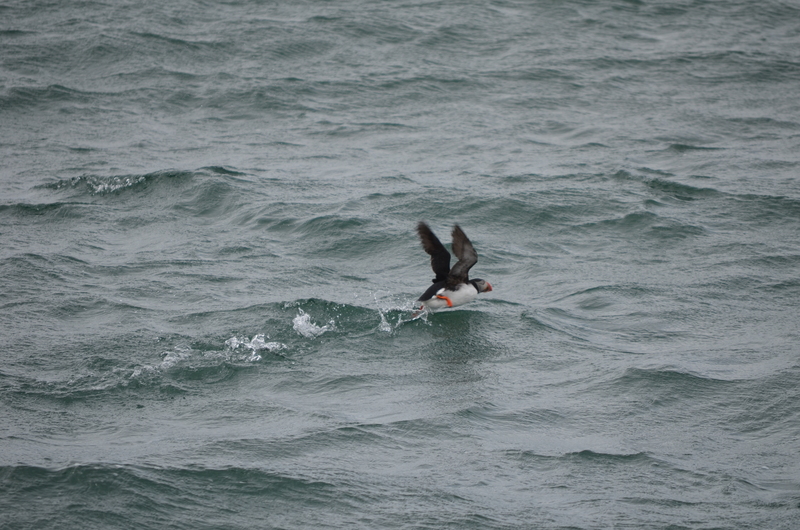 When I passed through Grindavík, and made the turn towards Keflavík, I could see more and more signs of civilization. One such sign: a nicely paved bike path running alongside the highway for several miles, with a fair number of cyclists on it. I was surprised by how many cycle campers I saw– people with large panniers slung fore and aft on their bikes, fighting the wind and staying vigilant for traffic. It’s not really a bike-friendly environment. Props to them. 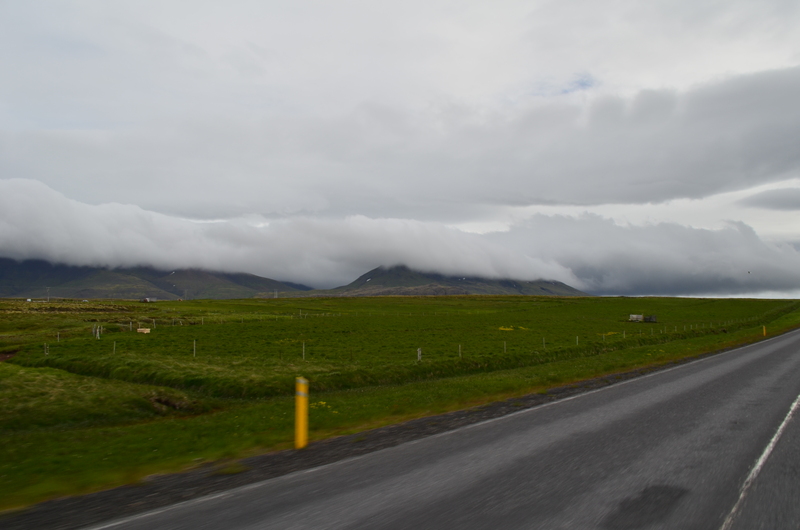 Just short of Keflavík, I stopped to gas up the car. Most Icelandic gas stations are completely automated, so you can still buy gas when they’re closed. That means you need a credit card that can use chip + PIN. Some US cards can, and some can’t. Because I was close to the airport, I decided to forego a snack stop; I headed straight to the rental car place and caught the shuttle back to the airport, with more than a little reluctance. Checkin and security at KEF were quick and efficient. I made a huge run through the duty-free to buy souvenirs, grabbed a hot dog from the restaurant, and headed to my gate, where I found that literally the entire flight was in line to board– I think I was the 4th or 5th to last person to board. Icelandair doesn’t do zones or any of that stuff. They announce boarding, everyone gets in line, and off you go. I settled in to my window seat and looked out the window as much as possible during our taxi and takeoff. 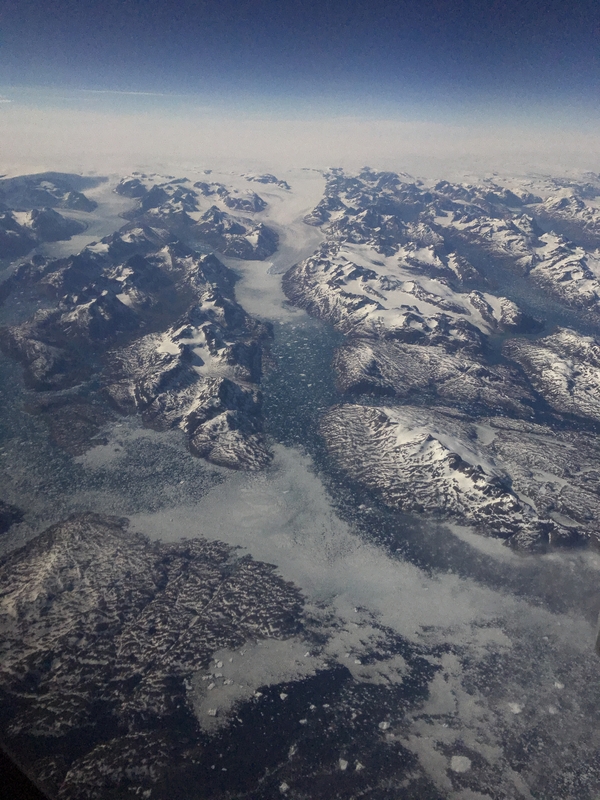 The flight was completely uneventful, except for when we flew across the southern end of Greenland. I’d never had a daytime window seat for that before, so I might have left a few nose prints against the window as I surveyed the beautiful landscape below. This is one of my favorite pictures; you have to see it full size to appreciate the range of colors and textures of the land. We arrived in Boston on time, where (thanks to Global Entry) I quickly cleared customs. The only snag in my travel was that my flight back to Atlanta wasn’t until the next morning! JetBlue and Icelandair have a code-sharing relationship but that doesn’t extend to coordinating their flight times, so there was no flight back to Atlanta that night. I knew that ahead of time, so I’d packed my overnight needs into my laptop bag and reserved a room at a hotel near the airport. I went straight there, had a quesadilla and some clam chowder for dinner, and was asleep within 90 minutes. The next morning, I came home. Bring better clothing. A hat and gloves would have been nice. Layering is a must. Try a little harder to pronounce things properly. Icelandic students study English from 2nd grade onwards, so I never had any trouble talking to people, but it was comical to see their facial expressions when I tried to say place names and so on. Executive summary: wow. I can’t wait to go back. 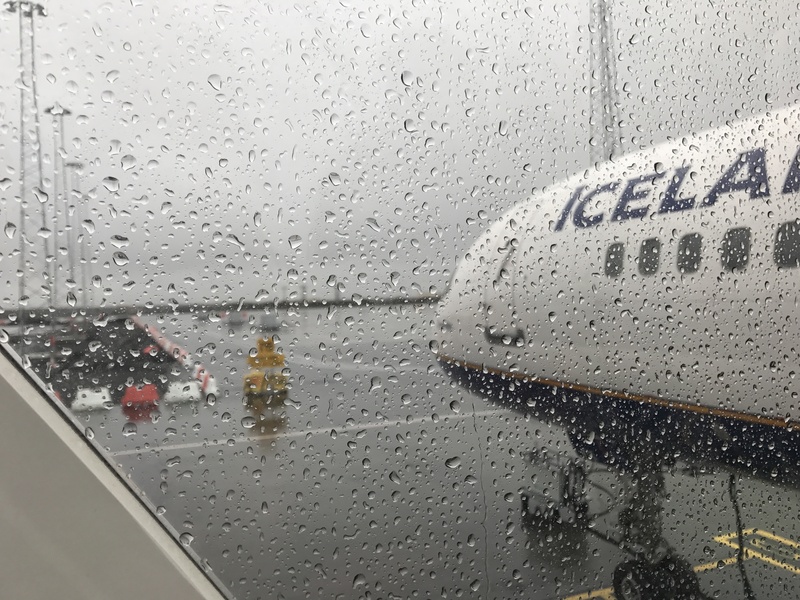 When I was invited to present at Office 365 Engage, the only way I could get there from Huntsville and still meet the airfare budget was to take a frankenroute: drive to Atlanta, fly JetBlue to Boston, then Icelandair from Boston-Reykjavik-Amsterdam and back. I remembered that Icelandair offered free stopovers, so I decided to tack on a couple of days for a visit when on the return leg. I ended up being on the ground for 42 glorious hours. 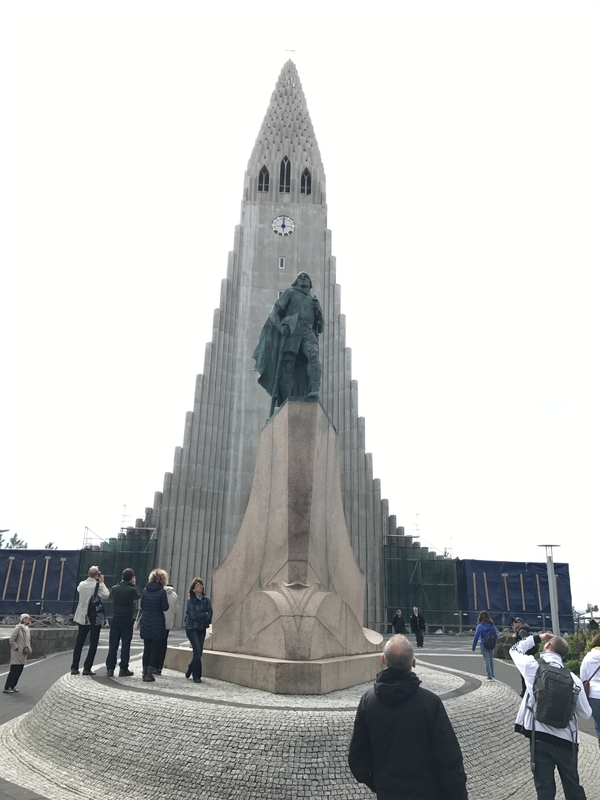 To help plan my trip, I read the Lonely Planet guides to Iceland and Reykjavik, then spent a bunch of time hanging out in Reddit’s VisitingIceland forum. This was very valuable and I encourage you to check it out if you’re planning a trip there. 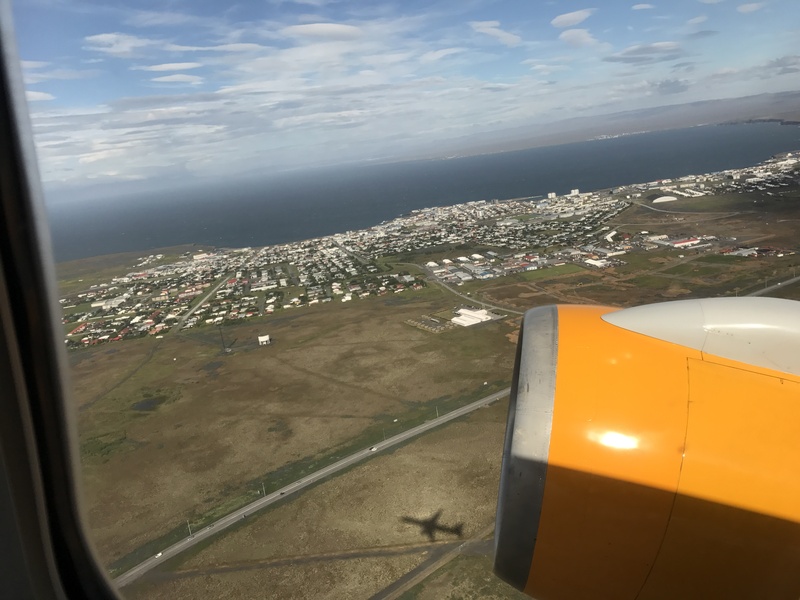 Icelandair and JetBlue are both low-cost carriers, but the inflight experience was perfectly OK. Nothing fancy, but they both got me there in reasonable comfort, certainly no worse than traditional US carriers. My outbound flight ATL-BOS was delayed by 2 hours because of taxiway construction (helllloooo, B6.. did you not know about that in advance? ), then my outbound BOS-KEF was delayed because the inbound aircraft was late. Despite these delays, I got to KEF on time to make my connection on to Amsterdam. Icelandair has Row44 wifi, which worked tolerably well, for EUR9.40. They have free in-seat entertainment in economy class and free soft drinks, but no in-seat power. On the flight over, I tried to sleep but didn’t have much success because I was too busy looking out the window to see the sun.. because it was up and shining in the middle of the night! When we landed, we deplaned onto the tarmac and boarded buses back to the terminal. This was fun because many of the passengers, me included, weren’t prepared for the weather: 48 degrees F, wind at 22kts gusting 25, and moderate rain. Iceland is a Schengen country, so for connecting flights into the EU you clear customs there. This was fairly efficient, although the KEF terminal is long and narrow so there tend to be long lines everywhere. Incoming passengers are funneled through a large duty free shop before getting to the main concourse, but if you’re connecting onwards you probably shouldn’t bother. After a brief wait, I boarded my connecting flight (which involved another bus, but at least it wasn’t raining) and flew off to Amsterdam. I like the Amsterdam airport. It is clean, uncluttered, and easy to navigate. Their security is quick and pleasant, with lots of touches that would be welcome in the US (such as automated conveyors that move trays and bags through the X-ray machines). Icelandair opens their checkin counter 3 hours before flight time, so if you get there earlier, be prepared to lug your suitcase around while you wait. I spent some time upstairs on the Panorama Terrace watching airplanes while I waited, then dropped off my bags and stopped to buy some duty-free goodies for the home folks. I ate at the Grand Cafe Het Paleis, which burned up almost all my layover time. Boarding was quick and efficient, and my flight left at its scheduled time of 1030p. That would put me on the ground in Iceland just before midnight. I settled in to my aisle seat, took a short in-flight nap, and then fidgeted until we were on the ground. Oh, I also bought a Flybus ticket. 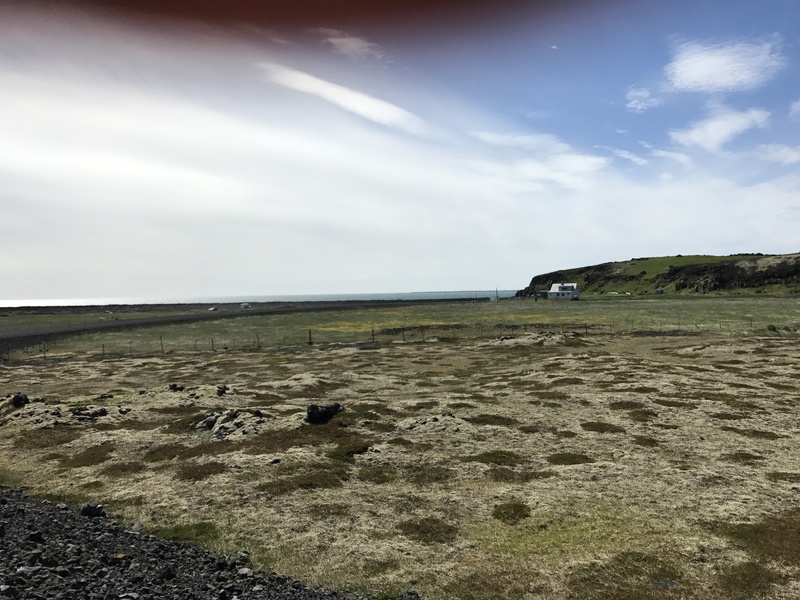 This shuttle service is the simplest and least expensive way to get from the airport (which in Keflavik) to Reykjavik (which is about 30mi to the northeast). For 2500 ISK (about US$24), you get a bus ticket on a nice commuter bus that runs to the BSI bus station near the Reykjavik airport. Like the Delta Shuttle, the buses run as often as necessary to handle capacity, and there are buses there after every arriving flight, no matter how late. My plan was to Flybus it from the airport to BSI, then grab a cab onward from there. Once we landed, I deplaned and was through customs in about 15 minutes. I had a slightly longer wait to get my baggage from the carousel, which I spent looking around the airport terminal. I found a vending machine and was delighted to see that it supported ApplePay. I used ApplePay for the overwhelming majority of my transactions. I only used cash after a restaurant mixup (more on that later) left me with some ISK. 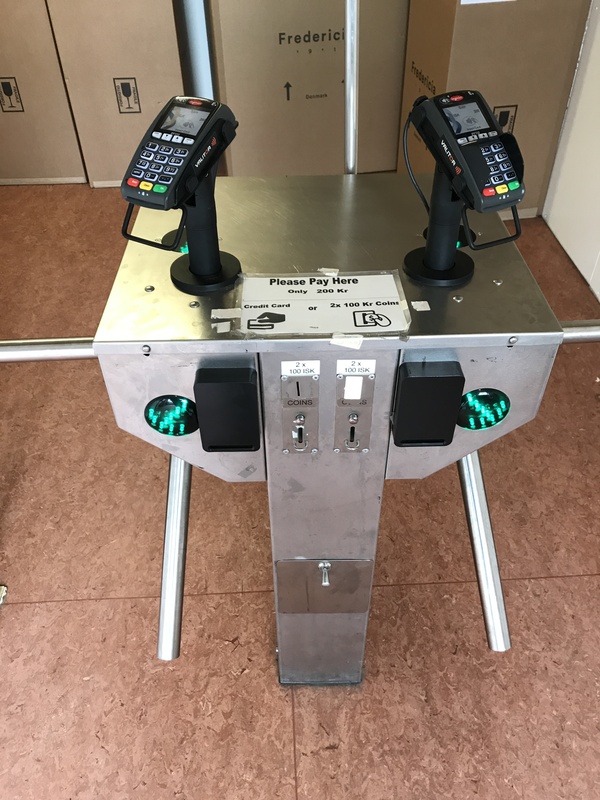 While Iceland isn’t cashless, it’s fair to call it “low-cash” since virtually everyone pays for virtually everything, even small purchases, with cards. 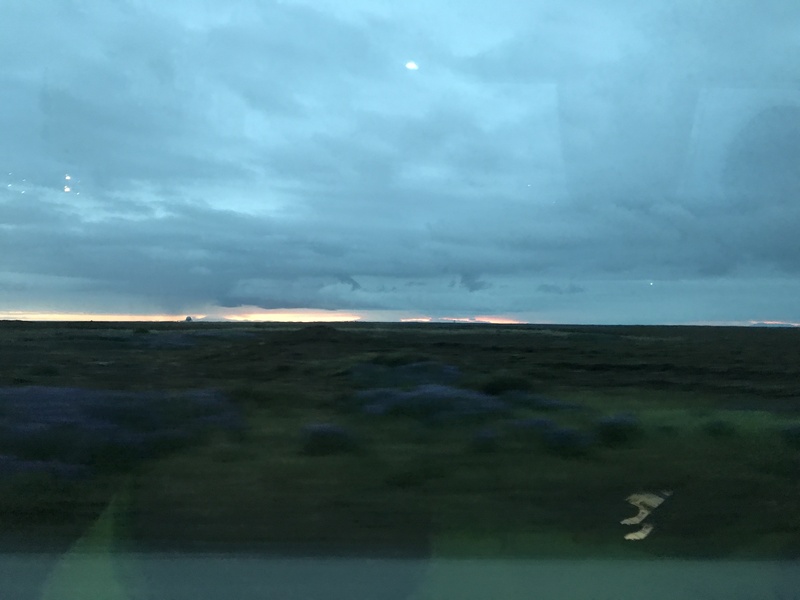 The bus was full of chatter, but I was content to watch the landscape pass by; although the picture doesn’t show it, the area nearest the airport is the rocky volcanic soil that Iceland is famous for. I didn’t sleep especially well, mostly because I was still a bit confused about what time it actually was. Between the light and my residual jet lag from going to Haarlem, I got maybe 4hrs total, which was plenty. After I got up, I showered. 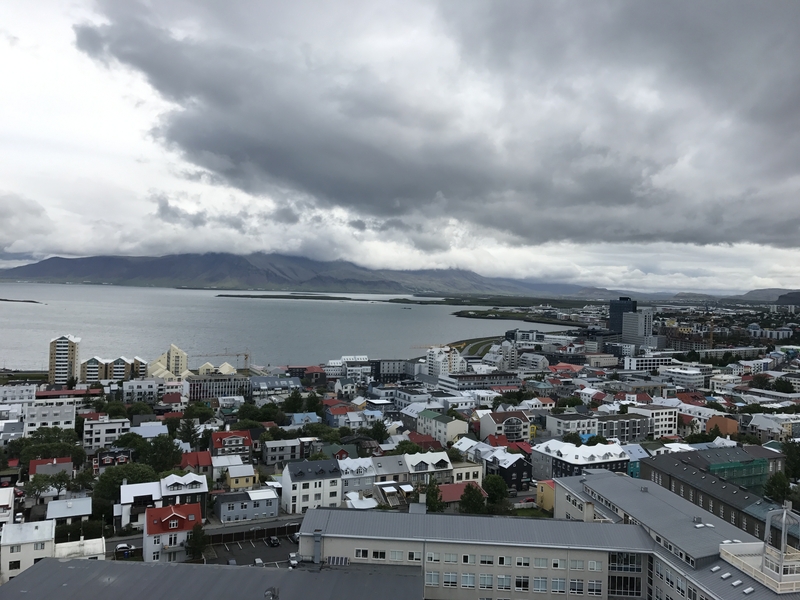 Interesting true fact: Reykjavik is considered a “low heat” area, meaning that groundwater is warm, but not always hot enough for showers and the like. 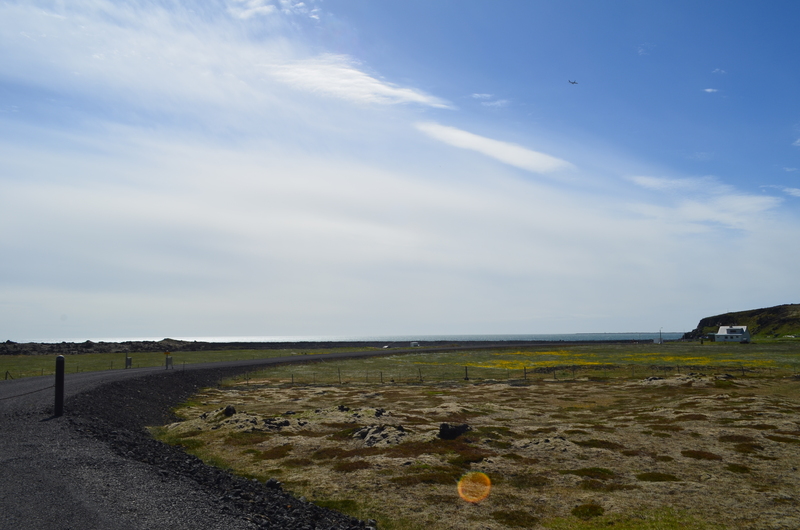 Keflavik is a “high heat” area, meaning that its groundwater is too hot to be used directly for households. 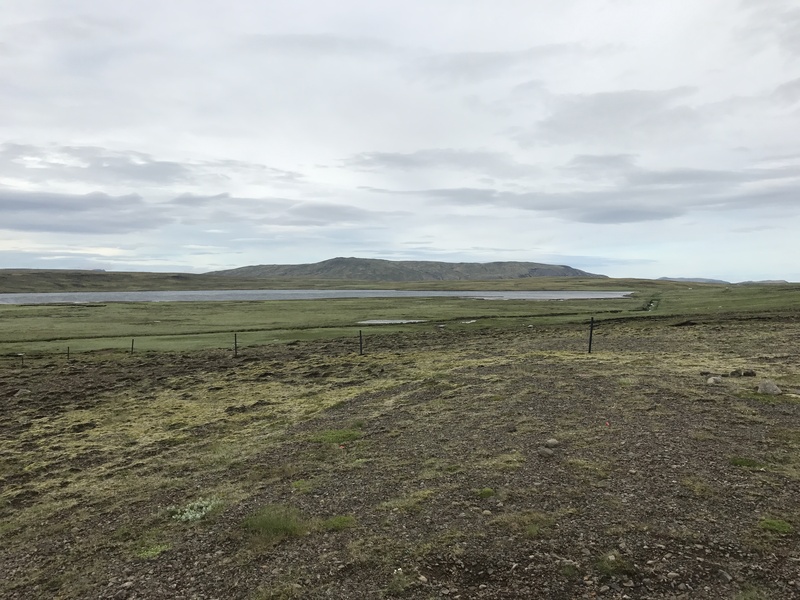 Anyway, all the groundwater in Iceland contains sulfur and other minerals– so you don’t cook with hot water, and when you use hot water in a pool, shower, etc. its mineral content leaves you feeling a little slimy. Anyway.. shower completed, off I went. First stop for the day was the convenience store on the corner, where I grabbed a protein bar and a diet Coke. This was only because I didn’t know there was a bakery on the other end of the building. Oh well. It was windy, and colder than I thought, so I went back to the house to grab another layer and met Jakob, my Airbnb host, and his cat. We had a nice visit; in addition to Airbnb’ing, he’s a tour guide and has several other small part-time jobs. Nice guy and I would recommend his place highly. I took off walking again, this time to Kringlan, a giant American-style mall, just to look around. It was closed, which was no great loss; if you’ve been in an American or Canadian mall, the experience would feel very familiar. 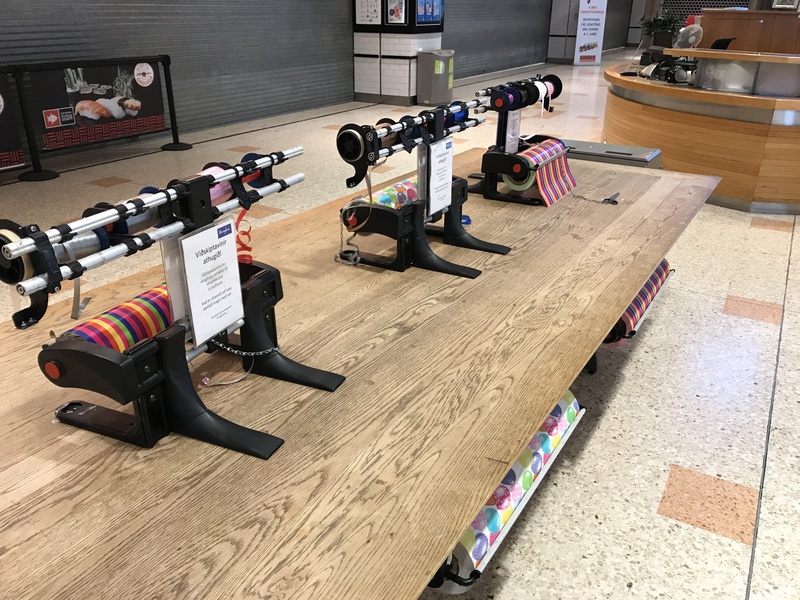 One difference: there are tables near the mall exits where you can wrap gifts for free– a nice touch. Who doesn’t like free gift wrapping? 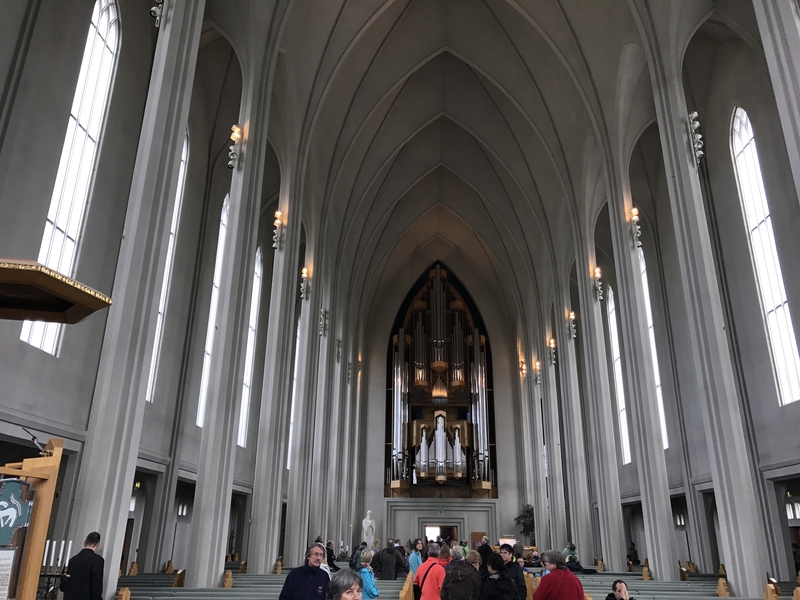 After Kringlan, I walked over to Hallgrimskirkja, the famous modernist church. My route took me through Miklatún park, one of the small parks that dot Reykjavik. I saw a ton of cyclists and walkers out getting where they needed to go, but I couldn’t help imagining what the park, and the people, would look like in six months when winter set in. Brrrrr. 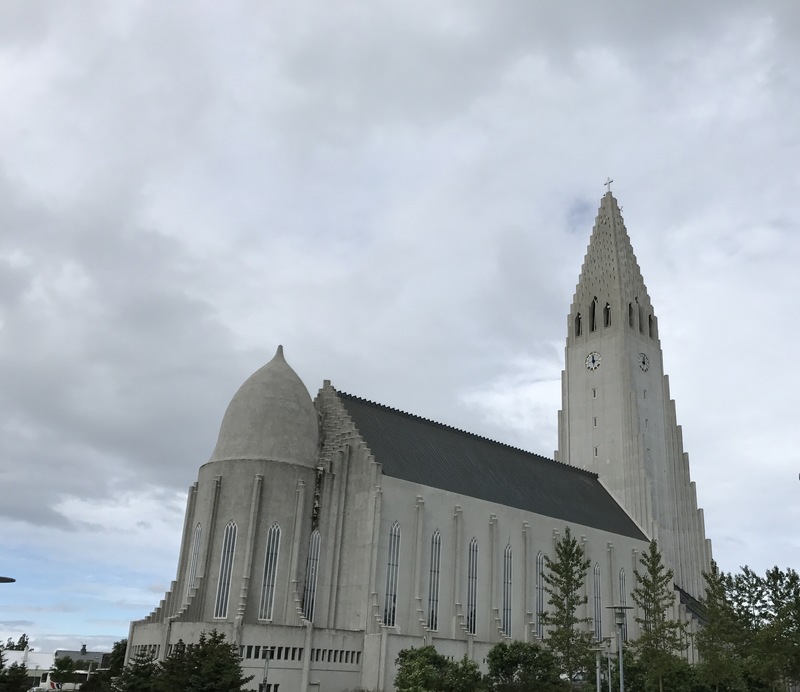 It’s hard to describe the shape of Hallgrimskirkja, sort of like a football spiked so hard it went partly underground, or a poorly baked baguette. My sister described it as being designed by someone who had read a description of cathedrals but had never actually been in one, and that’s not a bad way to put it. The church spire is tall enough to dominate the city’s skyline; you can clearly see it from a good portion of the city. The interior of the church is understated, to put it mildly. I think the builders put much of their capital into the giant organ. An organist was playing while I was there, and it was bone-jarring, which was actually kind of awesome. Sadly I seem to have lost the video I took, not that the puny mic on my phone would have captured the majesty. the church interior; notice the organ? A ticket to the top of the spire costs EUR 8, which was very well worth it for the views. Apart from the spire and the sanctuary, there really isn’t anything else to see here but it is still a worthy stop. 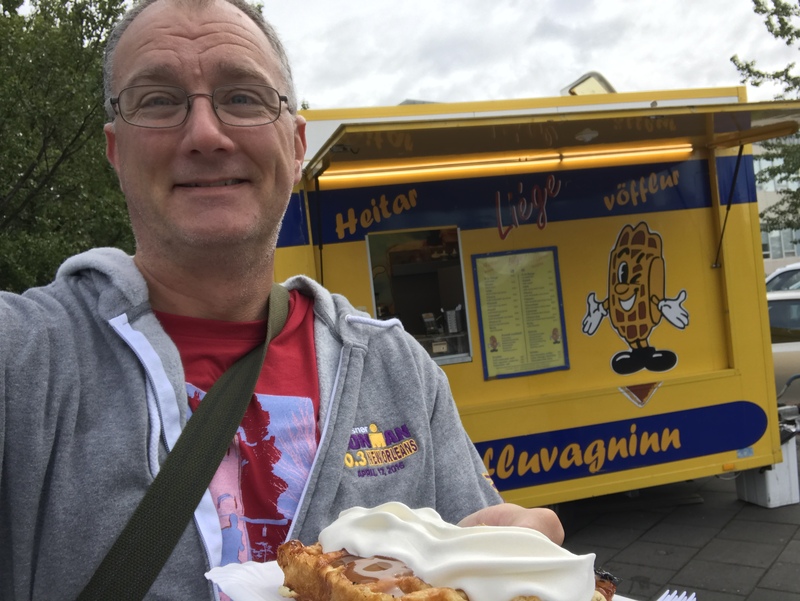 I had read on Reddit about the “waffle wagon,” a small yellow food truck that usually sets up at Hallgrimskirkja, and when I saw it I stopped for breakfast. This turned out to be an excellent decision– that waffle was the best waffle I’ve ever had. However, it was about $8. This was very typical of Iceland overall: everything is expensive. At best you’re paying what you’d pay in a US airport (for example, a half-liter bottle of Diet Coke is usually around $4) for most things. Hallgrimskirkja is near Laugavegur, the primary shopping and tourist street in Reykjavik, so I walked over to have a look. Much like any similar area in another city, there were lots of tourists with shopping bags. I did my fair share of browsing, but couldn’t convince myself to pay $250+ for an Icelandic sweater or $800+ for true Arctic weather gear. My friend Julio had suggested a visit to The Laundromat, a hipster-ish coffee bar (and actual laundromat), so I stopped in and had a $12 latte. It was good, and the atmosphere was fun– the place was crowded but only about half of the people I could see or hear seemed to be speaking English. After people-watching a bit, I set off for more walking and shop/browsing. 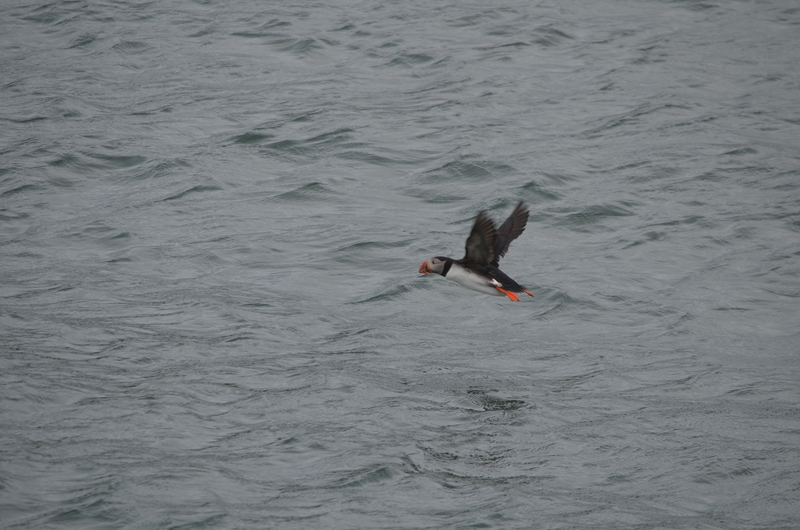 My afternoon plan was to take a boat tour to see puffins. This turned out to be an excellent decision. The excellent MustSeeInIceland website had recommended an operator called Happy Tours, so I booked with them ($55 or so). After parking near the Maritime Museum, I stopped for ice cream (always eat Icelandic ice cream when you can; it’s delicious!) and walked over to the tour area. Amazingly, no one else had signed up for the tour, so I had the boat to myself, along with the crew. 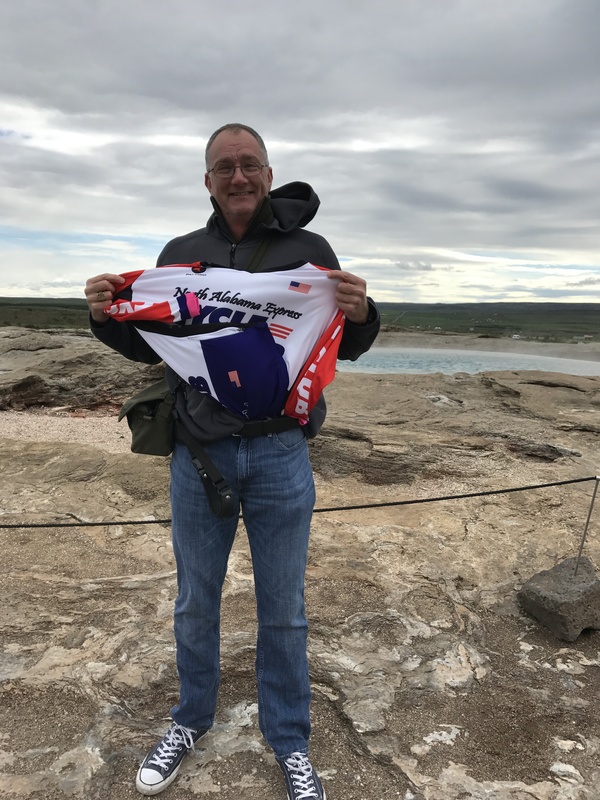 Snorri, the captain, has been working the water for nearly 40 years, and his son and daughter both work with him as tour guides. 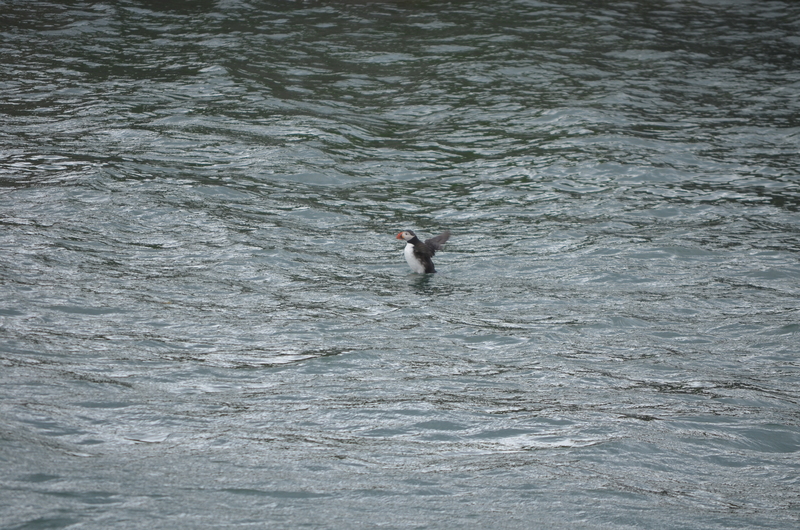 Kristey, the daughter, was a great guide: fluent in English and very knowledgeable about puffins, the harbor, and (of course) Icelandic life and culture. The water was rough, and it was windy, both of which I loved, but Kristey said that previous passengers that day had been seasick. After the tour, I walked over to a nearby coffee shop and had a cup of coffee while looking out at the harbor. It was pleasantly warm inside and I was a little nervous about what the race weather would be like. About 6 I headed back to the apartment, where I met my two Airbnb-mates: Zach from Houston and his sister, both of whom were in town to run the race. Neither of them had picked up their race packets, so I offered them a ride over to the venue to save them a walk. Bring a towel because the pool won’t provide them. You must shower before entering the pool. You will be expected to be naked when you do, and to use plenty of soap. If casual locker-room nakedness bothers you, you’d better get over it before you hit the locker room. The water feels different on your skin because a) it’s more mineralized than is typical in the US and b) it has much less chlorine than US pools tend to. Some pools (including this one) have lockers that are operated by an RFID wristband. Wristbands are usually available from the front desk. At least at Laugardalslaug, the big pool is just a little cooler than body temperature, and the hot tub I was in was maybe 1 degree above. Expect crowding. When I was in the hot tub, I was shoulder-to-shoulder with the people around me. I don’t know how common that is at 1130 at night, but I would imagine that in the middle of a summer day it wouldn’t be uncommon. After the pool, we set out to find food. 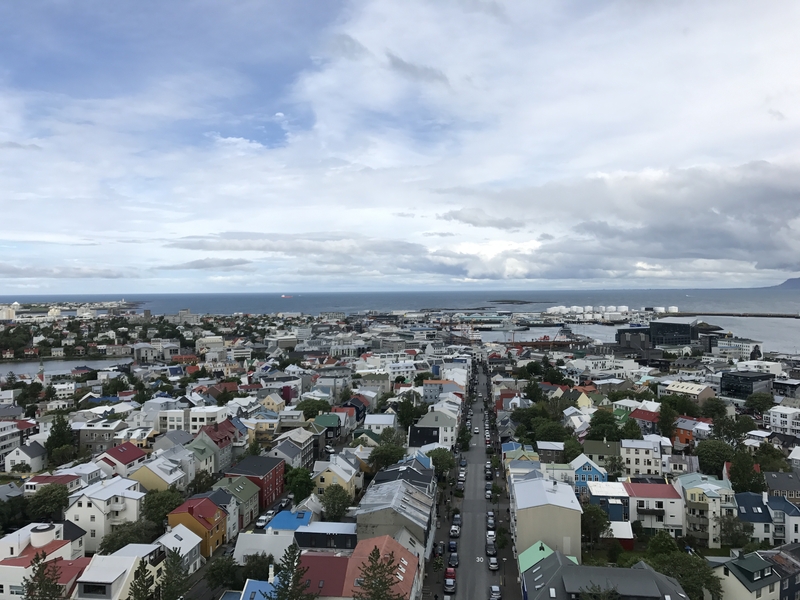 Here’s the problem: for all its exotic nature, Reykjavik is a fairly small city. Just like Huntsville, there are very few restaurants that are open at midnight… and Iceland doesn’t have Waffle House. It didn’t seem that late, given that it was still light and we had just finished running a race– both things you normally associate with daytime. 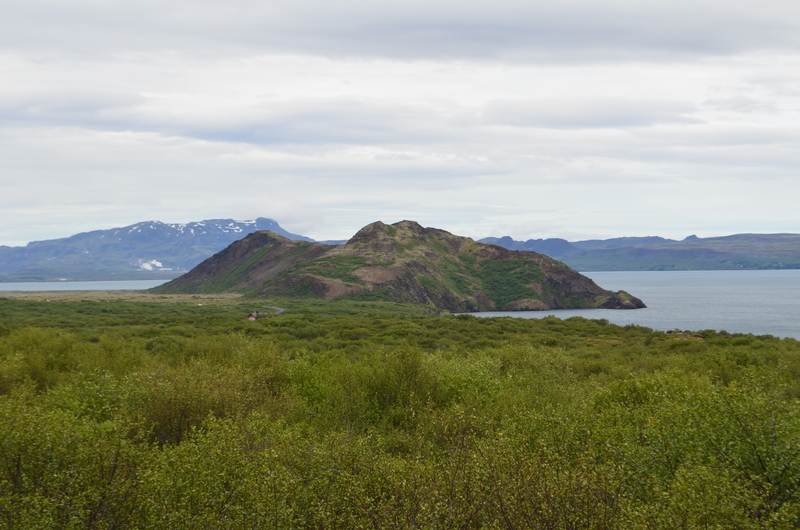 None of the places we wanted to go were open, so we ended up downtown on Laugavegur again. We found Hlolli, which is sort of like an Icelandic version of Subway; I ended up eating what was basically a BBQ beef poboy. Not bad (in fact, the bread was quite good), but it was essentially drunk food, not fine dining. That’s OK, given that I was still wearing my running clothes. On the walk back to the car, we found that the waffle wagon I mentioned earlier had set up shop in the square, so we stopped off for dessert.. then it was back to the Airbnb for bed. I got there abut 130a, and of course it was still light. That didn’t stop me from sleeping like a lava rock though.